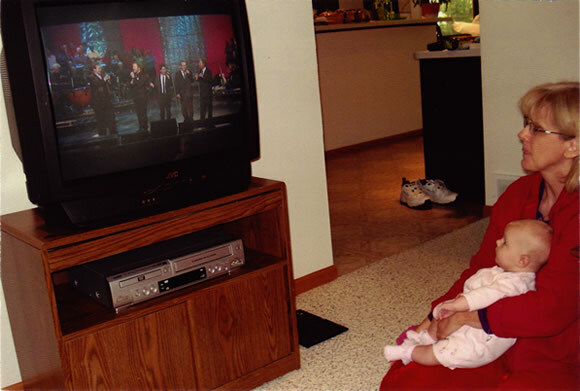 This is a picture of my granddaughter and me watching the Better Day DVD when Madilynn was only 2½ months old. She quickly became a fan. She is now nearly two years old, and it has been so much fun watching her as she claps along and dances to the different DVDs. I have the joy of watching her every day while her mom is at work, and we make a point of having some “Gaither Time” each day.